SHIJIAZHUANG, Jul 1, 2002 (Xinhua via COMTEX) -- A mysterious and previously inaccessible cave in Fengning Manchu Autonomous County, in north China's Hebei Province, s now thought to be an ancient place of meditation for Buddhist monks. The cave is located on Mount Lama, 30 kilometers northwest of the county proper of Fengning. According to historical records, for more than 500 years, local people could see only section of iron chain attached to a piece of wood at the entrance of the cave. A steep slope, more than 40 meters high, below the mouth of the cave prevented people seeing the inside. To find out what was inside, authorities of Fengning built a 330-meter-long plank path with iron railings, and dug 517 steps in the stone. Archaeologists found that the cave is oval, more than 20 meters deep and 3.5 meters wide. Inside, they found a natural "living room", and blue bricks, tiles and pillars widely used in building houses in ancient times. Archaeologists also discovered traces of the ridge of a house on the stone wall and a kang, a heatable brick bed, on which lamas sit and meditate. 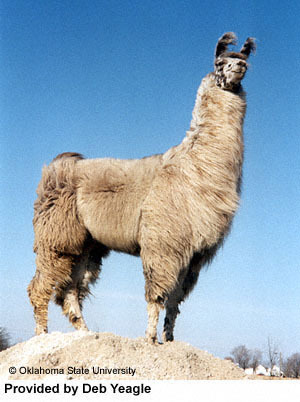 However, archaeologists still wonder how the cave was formed and why lamas chose to live there. What is more mysterious is that a clear pool was discovered under the kang, but archaeologists could find no trace of a spring in the stone floor. The water level remains unchanged whenever water is taken out of the pool. The water is sweet and contains many mineral elements. Fengning has developed the zone into a tourist attraction. I find this very interesting. But the rush to declare it Buddhist strikes me as mistaken. Strangely enough, as near as they can tell, the inhabitants of that cave lived the same lifestyle that 65% of China's residents today do. Who would you attribute it to then if not buddhists? Disciples of Confucius? I've always liked Confucianism being that it is only a system of ethics based upon man's nature as a social being, not upon religion. It postulates nothing. But, it is also incorrect to say that Confucius was an irreligious man. Confucious did believe in God, the most common designation of Him in his teachings being the term "heaven" or the "creator of things." The Confucian system is not just a testimony to the intellects power of drawing inferences of the Divine from the external universe...everything in Confucianism was prepatory..looked forward to something which would complete it. IMO, that completion came upon Christ's birth, that all things might be re-established in Him. Buddhism originated 2,500 years ago. Depending on the age of the cave it's possible. The article doesn't tell much about what else they may have found. What is more mysterious is that a clear pool was discovered under the kang, but archaeologists could find no trace of a spring in the stone floor. Very interesting and too cool! One of the interesting things in Archaeology is how modern man constantly has been underestimating previous man and how previous man keeps proving them wrong. In a way reminds me of the liberal elite who forgot that there is wisdom in history and who now believe they evolved to some kind of higher plain and are able to solve all the world's problems by using massive governments. Ancient meditation cave discovered in north China. Hmmmm.......I'm going to think about this! >Archaeologists also discovered traces of the ridge of a house on the stone wall and a kang, a heatable brick bed, on which lamas sit and meditate. "But the rush to declare it Buddhist strikes me as mistaken. " But the rush obscures confusion and truth, to neither of which can some ever be devoted. A 123 foot slope any good rock climber could of done that with out any trouble. No one has been there for 500 years. Would not suprize me if it was created as a tourist trap. I'm of the opinion that there are ancient religious practises in China (the cult of Shang Ti et. al.) that pre-date Buddhism and Confucianism. Even Confucius said he could not fathom the origin and meaning of the sacrificial ritual of the 'border sacrifice' to Shang Ti, but he believed it must be continued and conserved. A very unusual position for Confucius to maintain. This worship of Shang Ti (with the sacrifice of a bull once a year with the Emperor acting as high priest of the nation) has fascinated me for a long time, and I have wondered about what other religious remnants might be found in China and the Far East. Also, because a kind of structure or practice is found in Lamaistic Buddhism, that doesn't me it originated with Buddhism. Forms of Buddhism were successful precisely because there were some opportunities for creative syncretism IMO as it expanded. xOne of the interesting things in Archaeology is how modern man constantly has been underestimating previous man and how previous man keeps proving them wrong. I have a pretty harsh view of orthodox Archaeology when it comes to Egyptology and the like. We keep thinking we are the pinnacle of all that man has achieved, and except for the rare archaeological heretic, we don't consider the possibilities that there is more to this Earth and the story of humanity than we currently know.